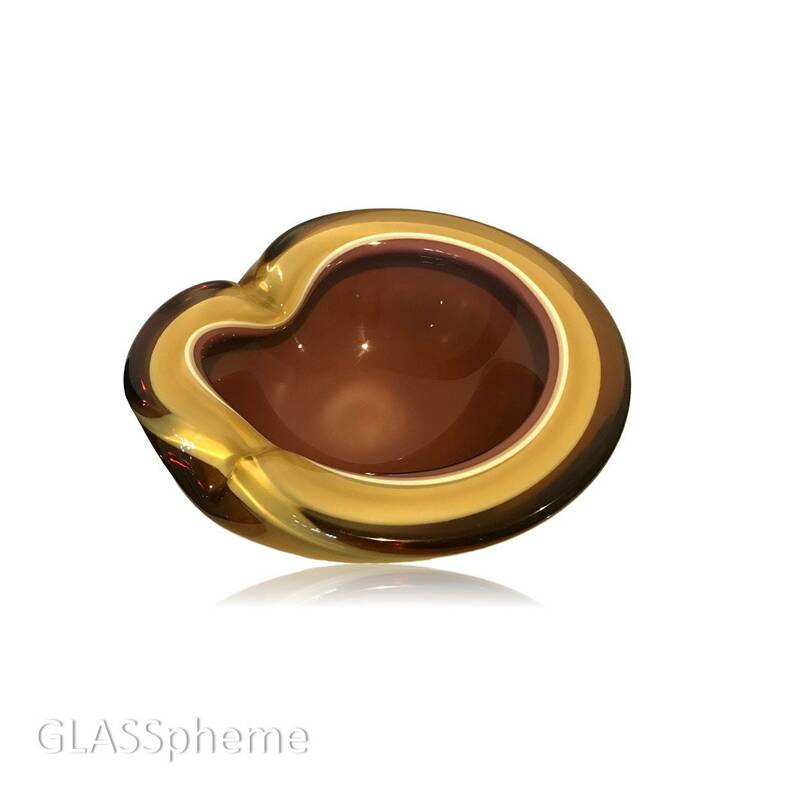 You're looking at an extraordinarily large and unusual mid-century Murano biomorphic | organically shaped cased glass bowl | ashtray that I'm GUESSING was done by Alfredo Barbini given other triple layered (unusual) similarly constructed pieces bearing the Camer Imports label. Notice the white rim rising up from the lattimo (Italian white milk glass) base, which makes the wild biomorphic shape absolutely POP! 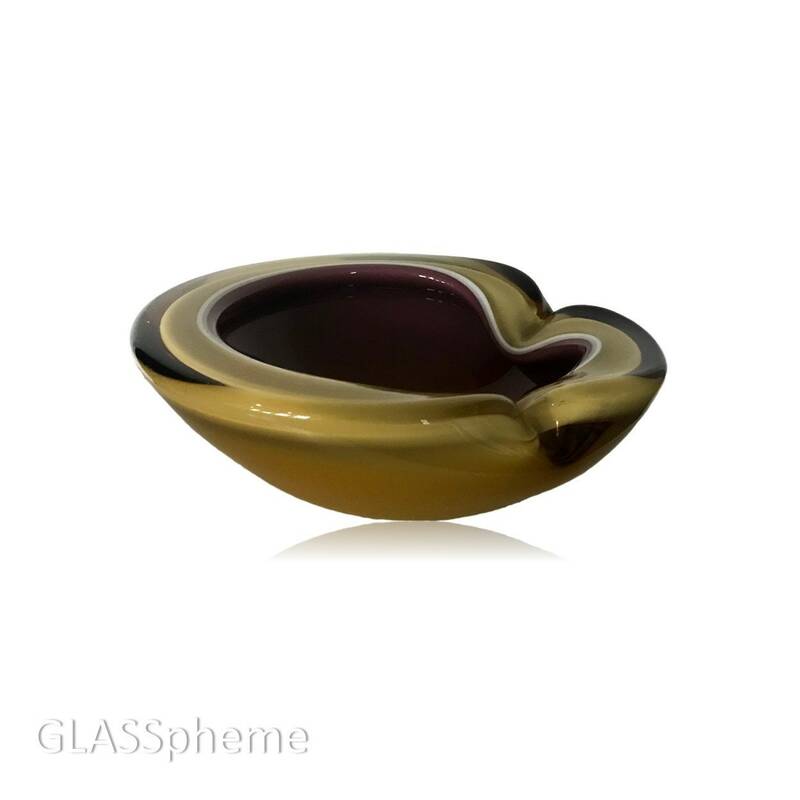 The interior is done in a deep purple glass while the outer lattimo base is encased in a deep gorgeous transparent amber glass layer. The effect is dramatic and spectacular, especially given the outsized proportions of this beauty. Aside from the expected heavy base wear, this piece is in pretty perfect condition--can't find a flaw.